The wine industry in Colorado began in 1890, when then-governor George Crawford planted 60 acres of grapes and other fruit along Rapid Creek, near Palisade. 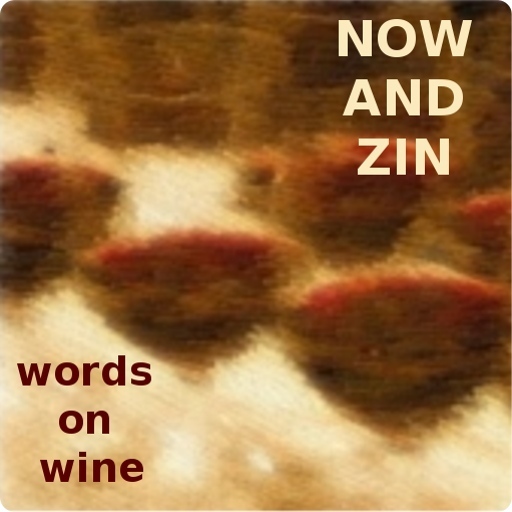 There was modest growth in grape growing and winemaking until you-know-what. Prohibition killed many states' wine industries. In Colorado, the bell tolled early, as the state passed its own Prohibition statute in 1916 - predating the national law by four years. All the grapevines were pulled up at that time in favor of fruit orchards. 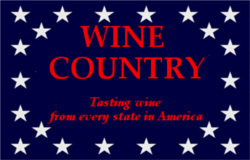 It wasn't until the late 1960s that grapes and wineries began reappearing in the state. Norman Christianson was a geologist who made a career of mineral exploration before becoming a vintner. He founded Canyon Wind Cellars in 1991. A family-owned estate winery, Canyon Wind employs Napa winemaker Robert Pepi, who oversees the winemaking work of Jay Christianson. Canyon Wind Cellars is located in the Grand Valley AVA, in Palisade, Colorado east of Grand Junction north of the Colorado River. The high altitude location offers their grapes hot days and cool nights in which to ripen in the sandstone soil. The Christiansons are proud of their winery's greenness. In the vineyard, sustainable practices are observed: no herbicides are used and only organic pesticides when needed. A gravity flow system gets the wine to the barrel cellar using no electricity. I received three wines to sample. 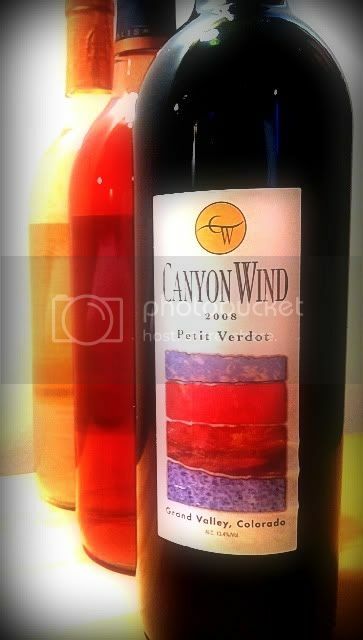 Two of them are from Canyon Wind's 47-Ten series - a Pinot Grigio/Chardonnay blend and a Merlot rosé - and a Petit Verdot from their varietal line. The name of the 47-Ten series refers to the altitude of the vineyards, 4,710 feet. That’s Rocky Mountain high. 60% of the wine is Pinot Grigio from the Cliffside Vineyard while the remaining 40% is Chardonnay from the Riverside Vineyard. At 13.6% abv, this wine does not bring the heat. The nose shows lovely floral notes and honeydew on a somewhat earthy background. There are melons and peaches on the palate with a shading of yeasty minerality. It’s really quite a delicious white, with a zesty acidity. There’s plenty here to make it useful at the lunch or dinner table. Put a chill on the 47-Ten White, and you have a perfect companion on the deck this summer. Another from Canyon Wind's 47-Ten line, this rosé is such a deep pink it’s almost red. Made from 100% Merlot, taken completely from Canyon Wind’s Riverside Vineyard, this wine is produced entirely in stainless steel. The nose comes on like a fruit truck overturned. Fresh, ripe strawberries and cherries abound on the nose and palate, and it’s all fruit - no candy. It’s a wonderfully dry rosé with a nearly astounding level of acidity. I wouldn’t pair it with steak, not because I don’t think it could stand up it, but because I like a red wine with beef. I wouldn’t think twice about having this wine with a grilled pork chop. At 12.3% abv, it doesn’t hit so hard that you have to worry about the second glass. This blend of Petit Verdot and a two-percent splash of Cabernet Sauvignon is sourced entirely from Canyon Wind’s Riverside Vineyard. In the original planting for the vineyard in 1991, it was thought two blocks of Merlot from different nurseries were put in the ground. It turned out that one block was not Merlot, and it wasn’t until eleven years later - with the help of genetic fingerprinting - that the mystery block was determined to be Petit Verdot. A low-intervention vinification leads to 22 months in French and American oak. Petit Verdot usually plays a supporting role in wines. Indeed, even this grape - during its time in the Twilight Zone - was used for blending. In this wine Petit Verdot gets to sit in the driver's seat and Cabernet Sauvignon has to ride shotgun. The wine’s color is deep, dark red, but light does get through. On the nose, immediately upon pouring, there is a strong whiff of alcohol. That does not remain for long. In fact, the wine settles down very nicely in short order. The alcohol content is only 13.4% abv, so it was a bit of a surprise to find it so forceful at first. Other elements vie for my attention in much the same way. One whiff is full of amazing fruit - cassis and blueberry, jammy as can be - while another has campfire smoke and creosote on it. It’s like a fireworks show for the nose. There’s a lovely greenness in the flavor profile and it’s unmistakable even amid all the intense fruit flavors. The wine has a medium-full mouthfeel and a firm tannic structure. It does not lack acidity and shows plenty of the earth in which the grapes were grown. Behind it all is a freshness that makes me think of a mountain stream - an unusual quality in a red wine, at least in my experience. Our thanks go to Canyon Wind Cellars for contributing these wines and becoming an able representative for Wine Country Colorado.